With thousands of companies offering term life insurance how do you compare them all? 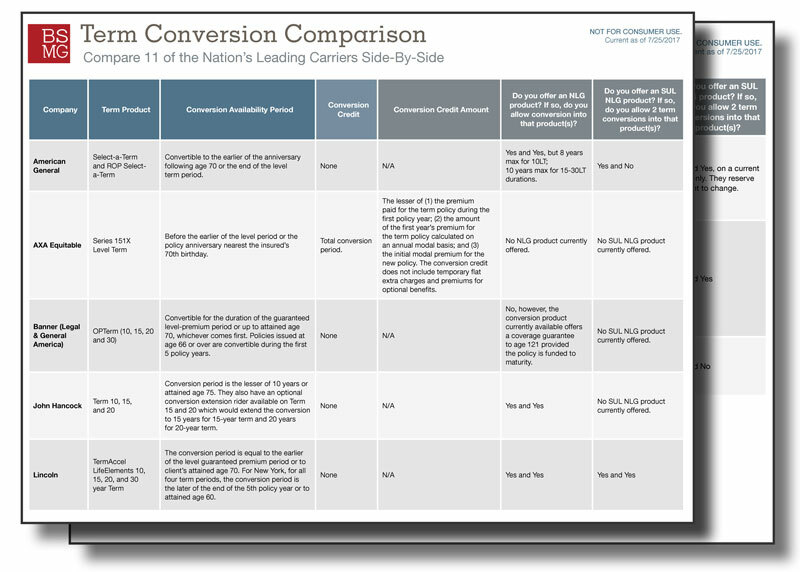 We may not have compared them ALL, but we have narrowed your comparison down to the conversion policies offered by 11 of the nation’s top carriers. What is the period of time conversion is available? Is a conversion credit applicable to the product? Is there a no-lapse guarantee on the policy being converted to?